Missing teeth should be replaced with fixed bridges to prevent remaining teeth from drifing, bite collapse, joint problems and increase risk of periodontal disease with bone loss. Models are made of the mouth and the space requirements needed are carefully evaluated. Your teeth on either side of the missing tooth need to be prepared by reshaping or reconstructing any badly decayed or damaged areas. 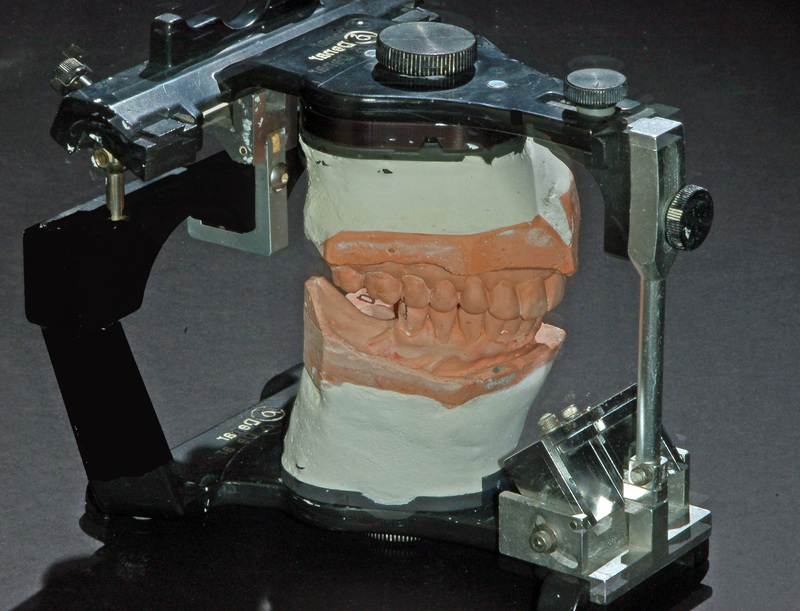 Afterward, Dr Kaplan will take an impression of your teeth, which is then sent off to a lab where it is cast into a mold. You will have a temporary bridge to wear. On the last visit, the bridge is tried and cemented. Using the latest advanced techniques and materials, Dr. Barry Kaplan, Prosthodontist, in Morris County, can help you achieve the smile of your dreams with a state-of-the-art dental bridge. At Advanced Prosthodontics and Implant dentistry in Morristown, Mendham, Chester and Randolph NJ. Dr. Barry Kaplan takes the extra time and care to customize his Bridges so that they will match each patients’ unique smile and bite and let you speak and chew comfortably while improving your appearance and self-confidence. Dr. Barry Kaplan seamlessly combines science and artistry to recreate natural aesthetics and assure you of attaining the optimum cosmetic result. Dr. Barry Kaplans’ custom shade analysis ensures that the bridge restoration will match with the shade of your existing teeth. Your bridge teeth are created from high quality dental materials using one of the finest labs. The porcelain is translucent and life like, like natural tooth enamel, and it resists stains, permanently. Anterior bridges are made from either porcelain or porcelain fused to a metal core. All-porcelain bridges are the most natural looking option because they subtly reflect light very similarly to a natural tooth, are translucent (also similar to natural teeth), and give a very natural, cosmetic result..
Natural front teeth often exhibit many different shades that vary from person to person. At Advanced Prosthodontics and Implant dentistry in Morristown, NJ. Dr. Barry Kaplan uses shade matching to make restorations that perfectly match the color of your natural teeth. Our shade matching system is a computerized small hand-held device that allows us to view the tooth hue, value and chroma in different light settings to create precise color matches. With this technology, you can be confident that your restorations will beautifully match your natural teeth. While your bridge is being created, you will be given a temporary bridge. Bridges are cemented permanently into your mouth and after placement can be cared for just like your natural teeth. Your Bridge will seamlessly blend with your natural teeth. Choosing Dr Barry Kaplan, Prosthodontist can be the difference between getting the smile you want and a serious disappointment. 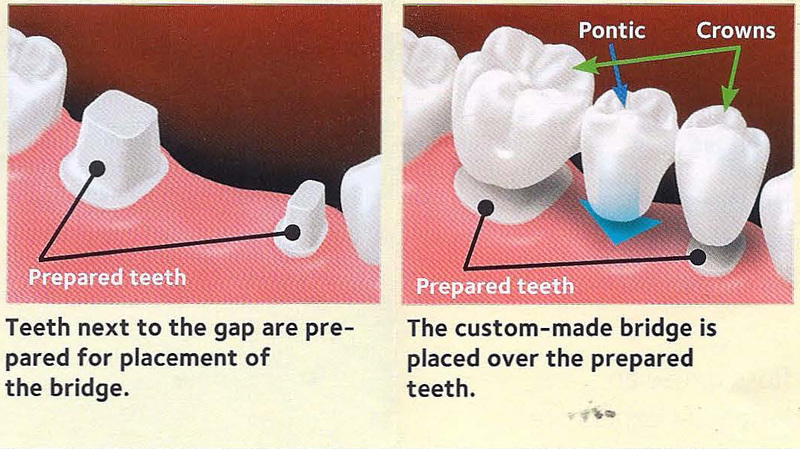 Cantilever bridges are used to replace a tooth that does not have supporting teeth on both sides of the affected area. Bonded bridges require minimal preparation and are bonded into place. Traditional bridges are the most common, and literally bridge the gap of an empty tooth space by securing a false tooth using crowns on the teeth on either side.